Another new restaurant is coming to Glover Park. Restauranteur Adam Hiltebeitel tells me that he is bringing Arcuri to 2400 Wisconsin Ave, NW. He says Arcuri will be “an energetic restaurant serving American food inspired by Italian traditions” and should open in early 2013. 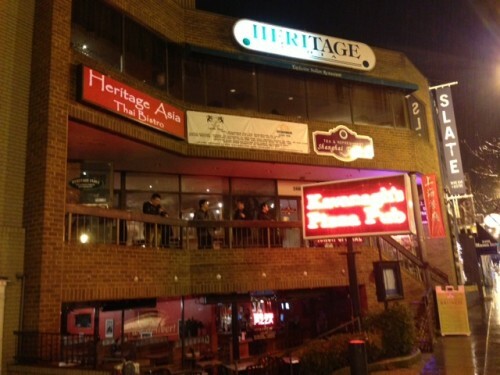 2400 Wisconsin Ave is home to a few restaurant including Heritage India but Arcuri will be taking over the lower level currently home to Kavanagh’s. Of course this is sad news for fans of longtime Glover Park business – Kavanagh’s Pizza Pub. While they are still open and no exact date has been picked, I’m told they will likely close at the end of the month (emails to Kavanagh’s were not returned.) Any fans of Kavanagh’s? More info on Arcuri as they get closer to opening.